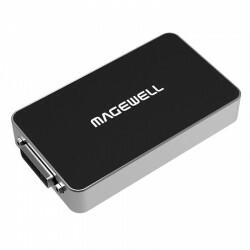 USB 3.0 Capture HDMI Device, Full HD 1080p USB 3.0 Video Capture Device, HDMI In, USB 3.0 Out. 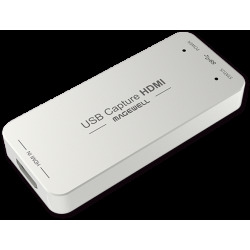 With a HDMI 1.4 interface, USB Capture HDMI Plus can capture signal from PS4, Xbox One, graphics cards, HD cameras (professional/sports/surveillance/video conference) and other devices. Max input resolution and frame rate is 4960 x 2160p60 (4:2:0). It automatically down scale the video to 1080p60 for recording and streaming. 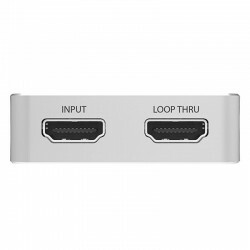 Different audio input and output functions have also been added to the devices. The Magewell USB Capture HDMI Plus model captures video up to 1920x1200, 1920x1080 or 2048x1080 at 60 fps over an HDMI interface. It also supports 4K HDMI inputs at 60fps with 4:2:0 color subsampling, or at 30fps for 4:4:4, down-converting them automatically to HD for capture and recording. 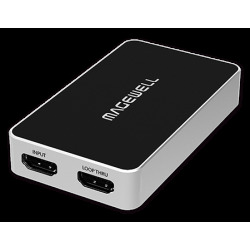 Compared to Magewell's original USB dongles with just an HDMI or SDI input, the USB Capture HDMI Plus and SDI Plus have an input interface as well as a loop through one, which enables monitoring the image while streaming and/or recording. 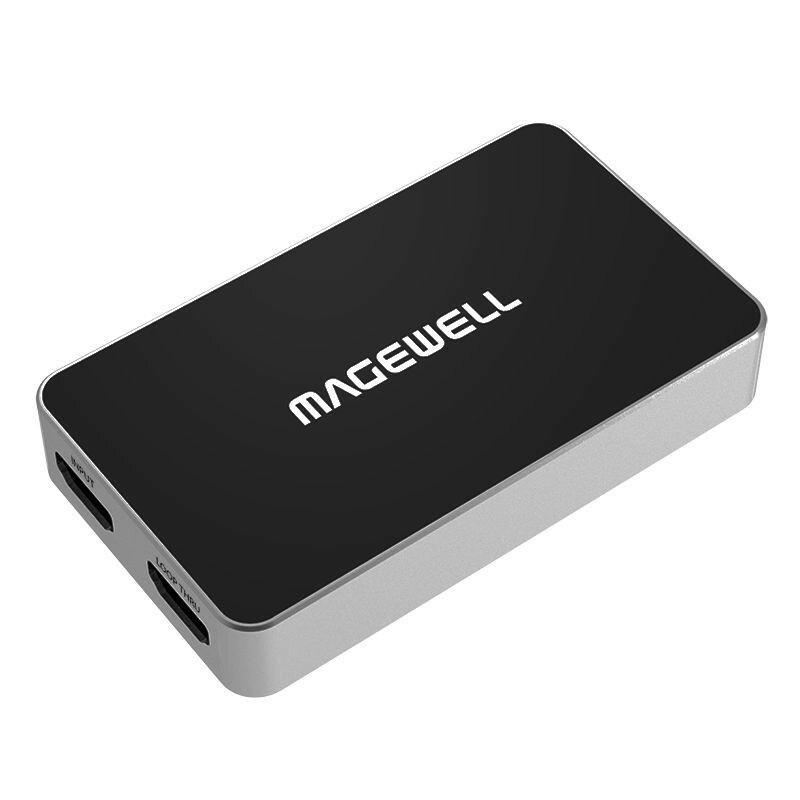 In addition, the new dongles have different audio input and output functions. 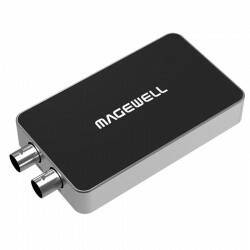 A 3.5mm audio interface allows for capture of analog audio from a separate audio device (not embedded in HDMI input). An analogue microphone input is available for live narration during capture. 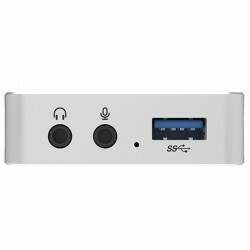 This eliminates the need for an additional audio capture device. The 3.5mm headphones interface allows for playback of audio (either extracted from the embedded HDMI audio or from the analog audio input). 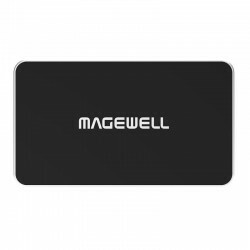 Our USB video capture devices use Magewell's hardware-based video processing for deinterlacing, up/down conversion and image controls, so that the computer’s CPU is not involved and remains free for third-party software. 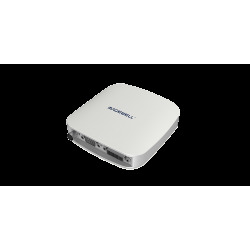 Users have USB Capture Plus Utility software to control their processing settings and access detailed status information. 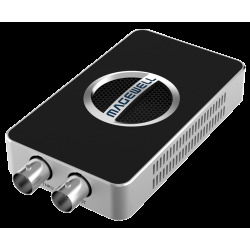 Other improvements on Magewell’s earlier models include faster detection time, FPGA-based audio processing with asynchronous sample rate conversion for better USB audio handling, and more comprehensive visual indication of device and input signal status.